The LEGOLAND® California Resort is located just 30 minutes north of San Diego and is a perfect addition to your Southern California vacation. The LEGOLAND® California Resort consists of LEGOLAND® Park, which also encompasses the LEGOLAND® Water Park, as well as the SEA LIFE Aquarium and two hotels; the LEGOLAND® Hotel and the LEGOLAND® Castle Hotel. With so much to see and do, you’ll want to plan enough time for it all. 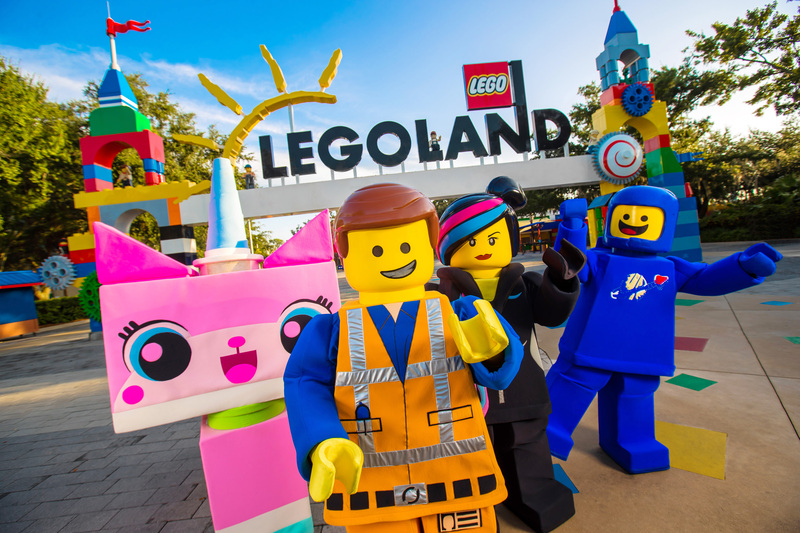 LEGOLAND® Park is the perfect place to “build” family memories with over 60 rides, attractions, and shows spread through eight themed areas of the park. Explore Dino Island, Pirate Shores, Miniland USA and Fun Town – just to name a few of the popular lands in LEGOLAND® Park. The best way to experience LEGOLAND® Park is with a LEGOLAND® Park Hopper® which also allows access to SEA LIFE Aquarium and the LEGOLAND® Water Park. The LEGOLAND® Water Park is the first LEGO® themed water park in the world! The centerpiece of the park is a 45-foot-tall LEGO® tower housing winding water slides. Kids can build their own water rafts for the lazy river, play in two sandy beach wading areas and splash in interactive water play areas. Water Park access also includes LEGO® Legends of CHIMA™ Water Park. Located next door to LEGOLAND® is the SEA LIFE Aquarium – a perfect blend of education and creativity where sea creatures and LEGO® bricks connect. Kids will especially love the interactive quiz trail that puts them in search of sharks, rays and more. The best way to experience the SEA LIFE Aquarium is with a LEGOLAND® Resort Park Hopper® Ticket. Also, be sure to check out the hotels at the LEGOLAND® California Resort. Both the LEGOLAND® Hotel and the LEGOLAND® Castle Hotel will immerse you in everything awesome. From a LEGO® themed swimming pools to public LEGO® play areas and disco balls in the elevator, you'll want to see all of the fun. Both the LEGOLAND® Hotel and LEGOLAND® Castle Hotel have 250 guest rooms with your choice of LEGO® themes, subject to availability. Guests at both of the LEGOLAND® Hotels also get free hot breakfast each morning and early entry into LEGOLAND®. LEGOLAND® Park is the perfect place to “build” family memories with over 60 rides, attractions, and shows spread through eight themed areas of the park. Explore Dino Island, Pirate Shores, Miniland USA, and Fun Town – just to name a few of the popular lands in LEGOLAND® Park. The best way to experience LEGOLAND® Park is with a LEGOLAND® PARK HOPPER® which also allows access to SEA LIFE Aquarium and the seasonal LEGOLAND® Water Park. 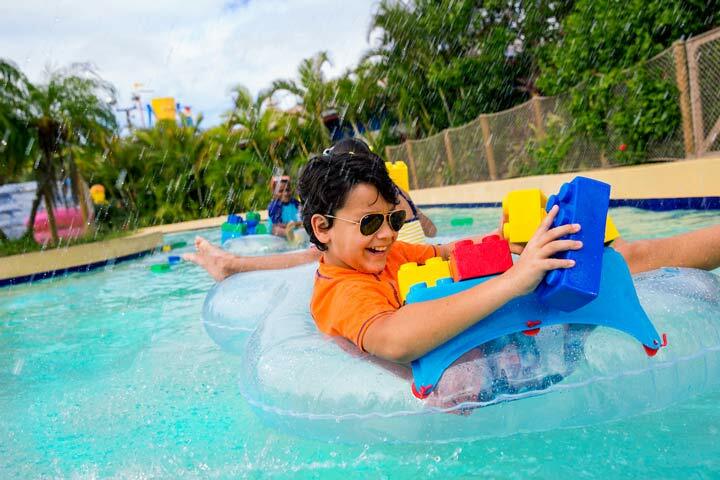 The LEGOLAND® Water Park is the perfect place for fun in the sun. Located inside the LEGOLAND® Park, the centerpiece of the water park is a 45-foot-tall LEGO® tower housing winding water slides. Kids can build their own water rafts for the lazy river, play in two sandy beach wading areas, and splash in interactive water play areas. The LEGOLAND® Water Park is open seasonally on select dates March – October. The best way to experience the LEGOLAND® Water Park is with a LEGOLAND® PARK HOPPER® Ticket. 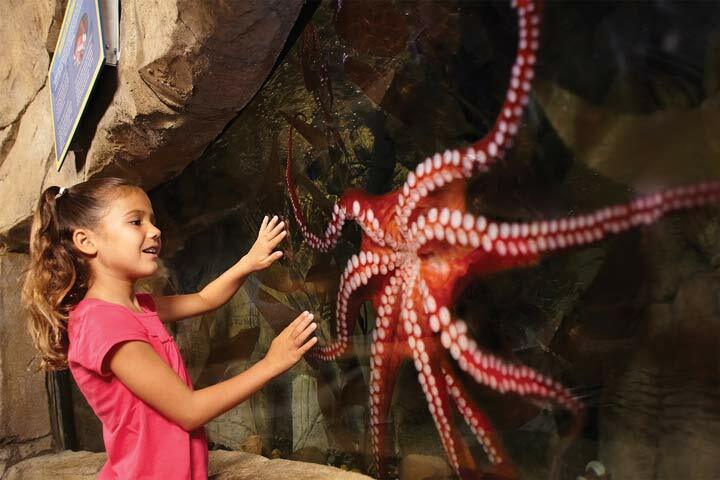 Come explore the interactive SEA LIFE Aquarium at the LEGOLAND® California Resort.